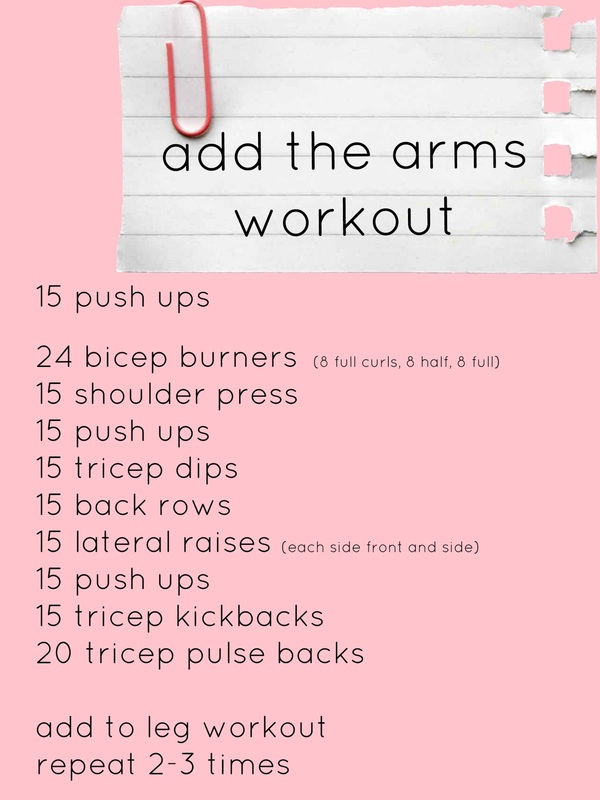 On Monday I shared with you my 15 minute at home workout. If I have more time for my workout, I will add the arms. I usually use 10-15 pound weights. To know if you are using the right size weights, the weight should be hard the last few reps. Don't sacrifice form though just to use a heavier weight. Did I mention I'm going to Hawaii next month?! Come back Friday for the final quick at home workout that I do when I can't get into the gym. Ok, Sugah, I get the tricep dips & kickbacks but that is a pulseback?